Farm Fresh Trees Holiday Tees Just $14.99! Down From $28! You are here: Home / Instagram / Farm Fresh Trees Holiday Tees Just $14.99! Down From $28! 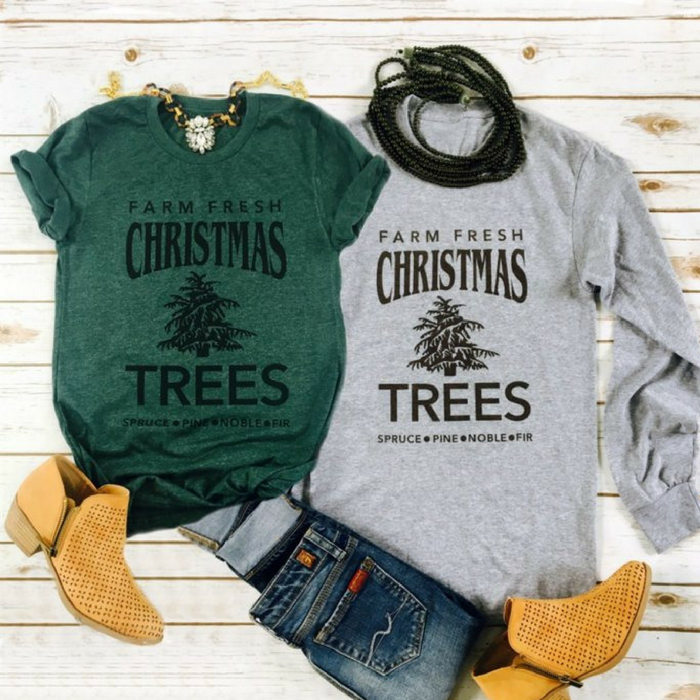 At Jane, you can score these Farm Fresh Trees Holiday Tees for just $14.99 down from $28! Shipping is $3.99 for the first item and $2.49 for each additional item! Country, vintage style tees for the holidays! I really love the design and the shirt colors are just perfect for Christmas season! These are great for parties, reunions or a family gathering event! Farm Fresh Trees design in black on Heather Dark Green short sleeve tee.